Justin Bieber continues to make moves to call his ex-girlfriend Selena Gomez's attention, as fans get extremely excited to see that Jelena might get back together. 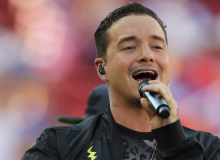 J Balvin shares his thoughts on fame, says he doesn't believe he is famous "at all." "Revival Tour" star Selena Gomez could no longer hold back the tears when her fans sang along at a Montreal concert. Mexican actor Jaime Camil debuted in the Broadway musical show "Chicago" and explained he can't what the first scenes were like because of the adrenaline rush. Ana Villafañe plays Gloria Estefan in the Broadway show "On Your Feet!" but the music sensation says their bond goes deeper than that, and well wished Ana on her special day. Artists such as Pitbull, Enrique Iglesias, Daya, Backstreet Boys and more, kicked off the summer with an electric concert at this year's KTUphoria Concert at the Jones Beach Theater. Is Emmanuel against the LGBT community? 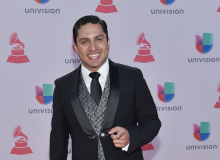 The Mexican singer delivered a random speech during one of his concerts in Mexico, in which he criticized gender fluidity. Here's what he said. 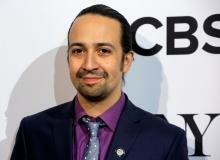 After almost five years, Lin-Manuel Miranda's musical set in Washington Heights will finally make it to the big screen. 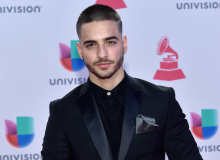 Sources revealed Maluma has been making out with his fans on stage, and a TV host from Cancún recently confessed to have slept with him after one of his concerts. 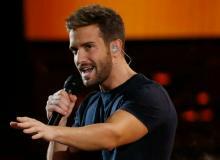 We celebrate Pablo Alborán's birthday with some of the romantic phrases found in his songs. 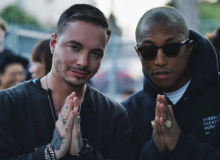 J Balvin announces the upcoming release of his collaboration with Pharrell, "Safari," and shares backstage clip of the video shoot on social media. A judge in a New York court ruled in favor of Luis Miguel's former manager William Brockhaus in millionaire lawsuit. 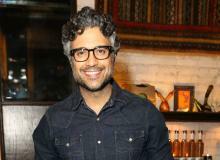 Mexican actor Jaime Camil is ready to fulfil his longtime dream of making his Broadway debut. See him get into the role of the gallant Mr. Billy Flynn in the musical "Chicago." Singing sensations Shakira and Carlos Vives had a great time working together in their first-ever collab, "La Bicicleta."